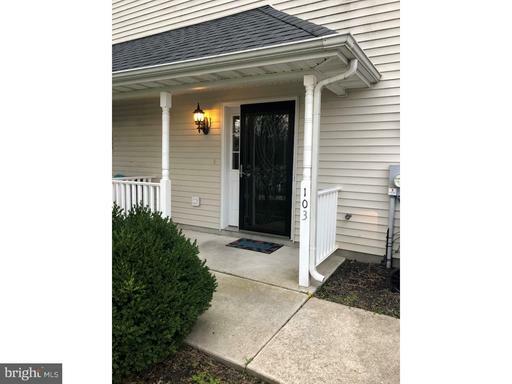 Large 3/4 Bedroom Town Home. Freshly painted, all new carpet and all appliances included!! This beautiful town home is located in the prestigious Caesar Rodney School district. Close to everything the little town of Wyoming has to offer. Walking distance to schools, ice cream parlor, stores, parks, and more. There is a 1 car garage with extra storage space. Inside on the first floor are a Laundry room and a family room that could also be used as an office or bedroom. This flex room has access to a bathroom and patio. The second floor offers a large living room with ceiling fan that opens to the Dining area. The Dining room is open to the kitchen which includes bar seating,light color cabinets and a large pantry. On the third floor you will find your master bedroom with a large walk in closet. The 2nd and 3rd bedroom also have ample closet space. This home backs up to open space, has Gas heat and Public water and Sewer. Agent is related to Seller.